We Podcast. We Sell Books. 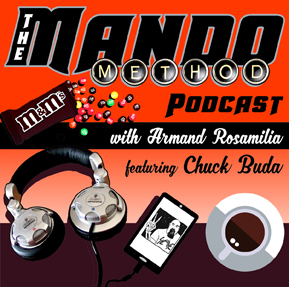 The Mando Method Podcast co-hosts Armand Rosamilia and Chuck Buda are authors. They write books. One of them brilliantly. Does the podcast help sell some of those books? They take a look and give their takes on why they podcast and what it does or doesn't do for them. That will make sense when you listen to the latest Chuck's Mailbag on The Mando Method Podcast with co-hosts Armand Rosamilia and Chuck Buda. The Mando Method Podcast co-hosts Armand Rosamilia and Chuck Buda get down and dirty about Patreon.